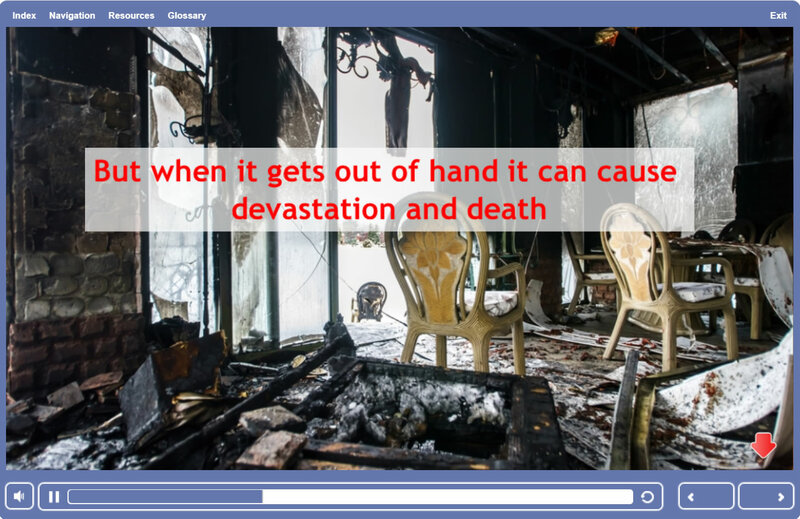 Our fire safety courses online looks at a variety of ways in which a fire can start to help raise everyone’s awareness of potential fire hazards. It looks at ways in which fire risks can be removed or minimised to ensure the workplace remains a safe environment. This course will provide the learner with clear and systematic information covering the legal requirements and ways of achieving compliance. It will inform individuals in all job levels and responsibilities about the role they must play in fire safety in the workplace. Every workplace must have someone in charge, a "responsible person", to ensure that there are systems and procedures in place that safeguards everyone in the workplace, including managers, workers, visitors and the general public. advice, information and training is required. To achieve this, every workplace must have information and training, a fire safety risk assessment, and a plan for emergencies in place. An invaluable course for all, which will help all businesses meet their due diligence requirements. Fire kills and workers must be protected. Every workplace must have someone in charge, a "responsible person" to ensure that there are systems and procedures in place that would safeguard everyone in the workplace, managers, workers, visitors and the general public. To achieve this, advice, information and training is required. Most environments have the potential for a fire to start as we use fire for a variety of uses. However, if it gets out of hand, it can cause devastation, injury and death. Fire remains the single biggest threat to any business. The main cause of accidental fires has been identified as faulty appliances and electrical leads. Therefore, it is in the interest of everyone to ensure that all employees can identify fire hazards and know what to do in a safe manner in the event of a fire starting. 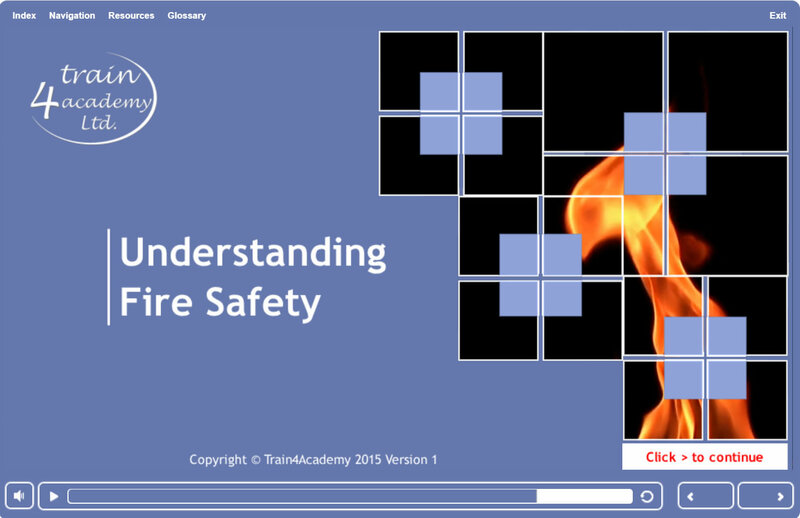 Who is this Online Fire Safety Course (Understanding) for? This online fire safety training is for any employee, including managers and supervisors, who need to have a good understanding of fire safety and fire hazards in the workplace, which will help to ensure the workplace remains a safer working environment for everyone. 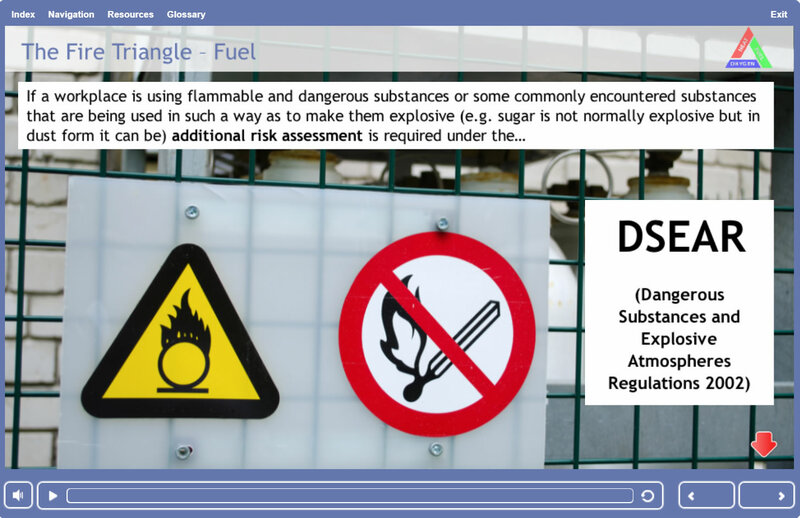 The aim of this fire safety training course is to raise all employee’s awareness and look at ways in which fire can become a hazard in a variety of environments. Identifying the presence of certain elements and substances, which can start a fire, can help to minimise or remove the risk of a fire starting. A fire can start and quickly get out of hand where there is the lack of appropriate control measures in place. This course covers fire regulations and compliance and looks at what can happen when fire safety rules are ignored. The average time required to complete the learning is approximately 1 ½ hours, however the course is designed to go at the pace of the learner and can be completed in more time if needed. The online assessment for the course consists of 30 multiple choice. In order to be successful, candidates must achieve a 75% (23) or above pass mark to obtain the certificate. On successful completion of the course assessment, the candidate will be able to print/save their Fire Safety Training Certificate. In addition to this, an email is sent to the candidate containing a link to the certificate. This is the simplest, most convenient way to achieve compliance. Also, a QR code has been added to the certificate which can be scanned by a smartphone to establish the certificate’s validity.